As was the case during the “Cartoon Crisis” in 2006, the tone and substance of the debate in Denmark places the country at odds with much of the West. And it might have troublesome spillover effects for the rest of the world. But even before the 2006 furor, which centered around the publication in the Danish daily newspaper Jyllands-Posten of a number of cartoons depicting the Prophet Muhammad the previous year, there was intense debate in the country over free speech and Western values. Indeed, soon after conservative Prime Minister Anders Fogh Rasmussen took power in November 2001 he reportedly called for a “cultural struggle” against the “arbiters of taste.” This agenda, adopted by the anti-immigrant Danish Peoples party that supported his government, quickly morphed into one emphasizing the need to speak “bluntly” against the alleged dangers of Muslim immigration and Islam. The publication of the cartoons took up the narrative that Denmark was gripped by self-censorship, prompting violent demonstrations throughout the Middle East and Asia that left dozens dead and hundreds more injured. What has made Denmark peculiar in all this is how the mainstream discourse on free speech is firmly occupied by conservative, often missionary sounding, voices urging the country to defend this crucial “Western” value from the attacks of religious fundamentalists. Those espousing more moderate positions, even those embracing free speech but advocating tolerance and delicacy, have long been on the defensive. Unsurprisingly, the response in Denmark had an altogether different tone, reflected in an opinion piece by a Danish commentator in the Wall Street Journal who argued that the EU statement showed that “Europe [had] abdicated moral leadership” and that “liberal democracies now don't even want to put up a fight” on free speech. The problem with all this is that even if the attack on Hedegaard proves to have been ideologically-motivated, the tendency in Denmark to present each and every incident as demonstrating that Western values are existentially threatened only confirms the worldview of fundamentalists who themselves argue that we are engaged in an ideological war. Instead of rejecting this view, as they should, free speech radicals play right into fundamentalists’ hands. But the anti-Islam movements working under the banner of free speech and the mainstream political parties’ uncritical embrace of this ideological free speech agenda is part of more profound paradox. 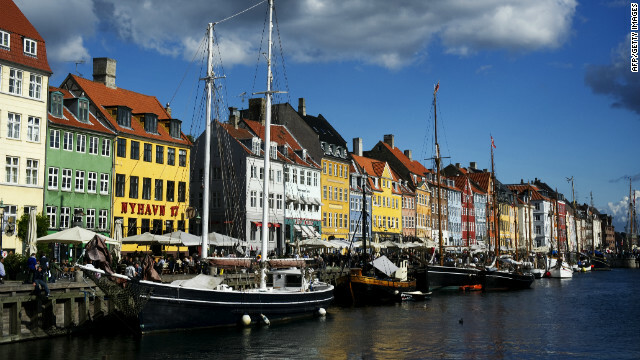 Long admired as one of the most inclusive regions in the world, Scandinavia has witnessed a backlash against globalization and especially immigration, nurturing the emergence of some of the best organized populist movements in the West. Interestingly, even as Danes have been debating the attack on Hedegaard, authorities in neighboring Norway arrested a man for threatening to attack the country’s parliament. The arrested man is reportedly a member of an European anti-Islam movement founded by a Dane. So what should we take away from all this? If the Danish experience teaches us anything, it is that turning free speech into an ideology is a dangerous development that serves only to foster conflict. Moderate politicians the world over have a daunting task in trying to counter a black and white view of the world that sees conflict around every corner. If they fail, we must be prepared for endless reruns of the Cartoon Crisis – or worse. This must be the most stupid article I've ever read. For any American Citizen to call a free spirit soceity like Denmark, conservative, where taxrates are as high as 50% and wealth is distributed amongst Citizens to provide free social benefits for everyone. That is really naive. Conservative is to jail claimed terrorists without a trial, to monitor all traffic on the internet, and invade nations with military force. Denmark is a free generous nation, which uses far much more of its BNP to help other nations, ensure equal rights, free speech, hospitals, schools, libraries, asf. for its Citizens. This article is just bad journalism. Nothing more!